On March 12, 2014 my personal Facebook page was hacked. They also had access to my U Create Facebook page and stole it. I received a message saying Facebook was suspending my account because I violated their policy and that I needed to act quickly and verify my account or they would temporarily shut it down. I quickly filled out the form with my login information and hit submit. RED FLAG right? I never fall for these schemes! This message looked so legit and I could kick myself for not investigating further. Well, I returned home that afternoon and logged into my account. I couldn’t. Somebody changed my password. I went to recover it and they already changed my recovery email. My picture and name were changed to a name I cannot pronounce. I took further measurements to get my account back and Facebook asked three of my friends to vouch for me. They did and I still could not gain access to my account and kept getting error messages. I went to my blog and clicked on the Facebook link to see if the UCreate page was there and it disappeared. Those of you who have been following UCreate know that I’ve worked 5 years to grow my blog and social media influence. This was a nightmare come true! I tried to contact Facebook and was finding it very difficult to get in touch with a human being. So many forms to fill out, scanned and sent my ID to them as proof, and was getting the answer “I don’t see a problem on your account” and “it looks like everything is fixed”. I received my personal account back and changed the passwords, but I still had no UCreate page. How I got my page back! Some blogging friends told me that this has happened to many bloggers recently and so I started asking around. Come to find out 5 of my friends were hacked, too! I have to give a HUGE thank you to Maria at Two Peas in Their Pod because she gave me a link that got me to a human being that was willing to help me. Thankfully, two people were very helpful and escalated my problem to their supervisors. After sending around 15 forms, and waiting about two weeks, I finally got my page back!! Today I received an email that the hackers were removed and I have full access. The page name says “Diy Craft Projects”, I lost two years of archives, and I had to delete posts from March 14th on. I’m still in the process of changing it to U Create, but I was thrilled to have my Facebook fans back! 1. NEVER give your log in info to anybody – even if it looks legit and like its from Facebook. 2. Change your passwords immediately if you’ve been hacked. I was SO lucky my Paypal, blog, and other social media accounts were safe. 3. Do not have the SAME password for all accounts. If you are hacked, they cannot get into all of your accounts. 4. I was in one big blogging funk. I lost motivation and was having major burnout. 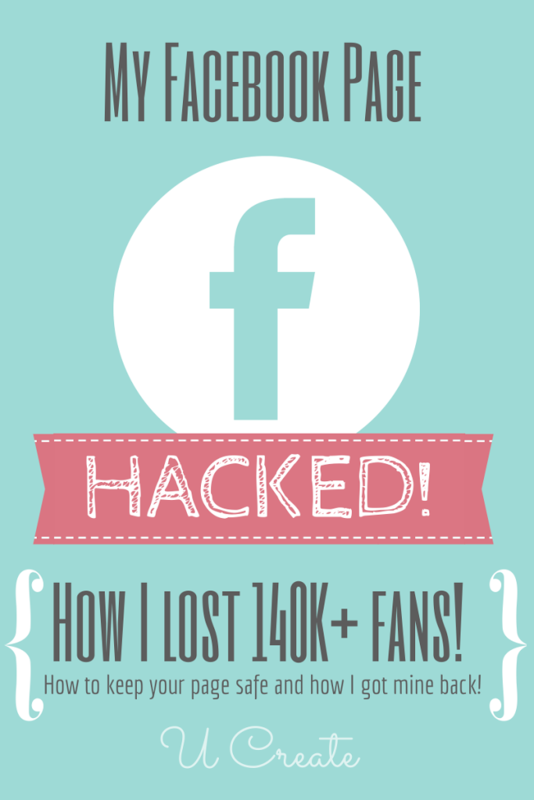 I’ll tell you what, losing my Facebook page opened my eyes to how much I LOVE blogging and using social media to connect with my fans and readers! I guess one good thing that came out of this is that I’m on “fire” and enjoy blogging again! I so sorry it happen to you, I love following you, I’m happy to see you are back! Thanks for your kind comment Sandy! 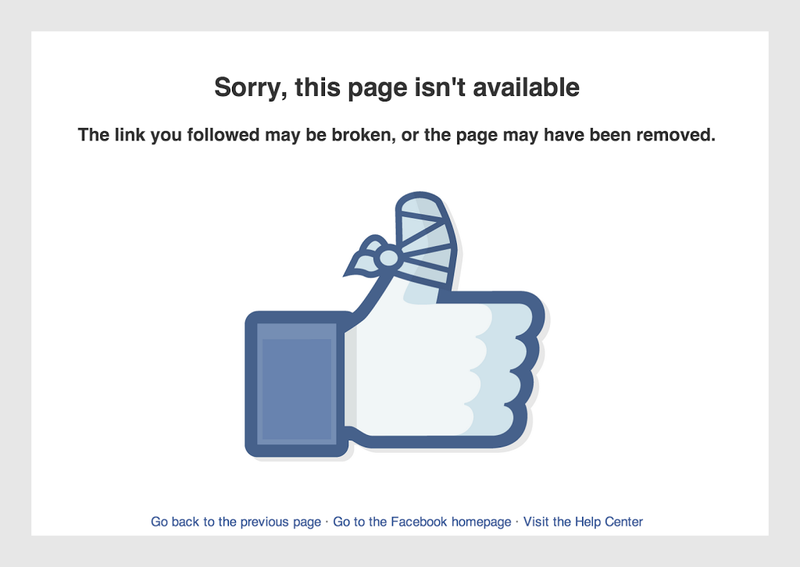 This is happening to Ana-White’s FB page. I think its the same hackers. They changed her FB name to the same as yours. Hey Janet, That’s what people are saying. There have been a handful of friends that had their pages stolen and the named changed to “DIY Craft Projects”, unfortunately that is still the title of our Facebook page and we are working to change that! FABULOUS tips and info! Thanks so much for sharing! I really try to understand what benefit hackers are getting from this, too. Thanks! ugh, so sorry that you had to go through all that. Thanks for sharing your story. You’re welcome Amy. I want to share it so other bloggers don’t have to go through this, too! What a mess – I am dumbfounded as to why people do this. Have they nothing better to do with their lives? I truly wonder the damage they cause. Sure, it’s only a Facebook page but I’ve worked so hard for years to build it and to have it taken away overnight was heartbreaking! So sorry this happened to you, but so appreciate you taking the time to alert the rest of us and share what you learned through a terrible experience! Even though it’s not fun to talk about…I hope I can help other bloggers avoid this!!! I’m so sorry. I truly hope they can be recovered asap!!! Wow Kari – what a scary experience! Thanks so much for sharing what you have learned from the experience. Obviously any one of us may have fallen for the same thing! Hope to see you at SNAP again this year. That makes me sick! Honestly, why would anyone do something like that?! But I’m glad you were able to get your FB account back and thanks so much for sharing! This seriously makes me so sick to my stomach. I am so glad that it all worked out in the end, but I cannot even imagine the feelings you felt throughout all of this! I am seriously so glad it is back and things are good! Thank you for sharing your experience with us! What a horrible experience! Glad you perservered and was able to get it back! Best wishes and thanks for the advice. I’m sorry you had to go through that. I’ve several friends lately that have had someone to steal their name and photos, and open a new account. Then they send requests to their already friends on FB. I never accept those until I check to see if the person’s page is still there. I’m glad you got it worked out. I don’t understand why some people think making other people’s lives miserable is fun. You poor thing. My heart aches for you and all your years of hard work. Glad things got back up. I’m gonna head over and be sure I am still “liking” you. And just a side note, my honey who is a computer repair technician has said to me many times, anytime there is a discrepancy with an online account, a legitimate complaint will NEVER include asking you to fill out a form or provide any kind of personal information. If that is the first alternative offered, 99% of the time it is a scam. Oh my gosh, Kari…I am so sorry you had to go through this, that must have been so scary and frustrating! I am so glad you got your page back and I am grateful to you for sharing this important information. I will definitely take some proactive steps to better protect my page now. What they get is access to all of your fans. It could be to use them for pay per click advertising or like farming. One of the most important thing to do when you’ve been hacked is to let your fan base/customers know as soon as possible. This will hopefully keep them from being compromised too. I’m so sorry that your account got hacked and fingers crossed you’ll have it back to normal soon. Great advise. Thanks so much for sharing! I’m so sorry Jessica!! I’m not sure where to direct if that link no longer works, but don’t give up. Send them emails like crazy and that’s a great idea to contact their marketing department! Sorry I couldn’t be of more help!